Saving a few extra bucks is something that will never get old – who wouldn’t want to have some spare cash with less effort? When it comes to fuel, you cannot simply depend on a price decrease to save you money. Plan your trips and drive with a purpose. Where possible, plan and combine your trips to cover as many errands in fewer areas and stops as possible. This will help you avoid making too many stops where you have to start up your car again and possibly even avoid the rush hour traffic. Always consider the time required for your trips and try to leave earlier to avoid being stuck in traffic or speeding to get there on time. Ease up on the accelerator. Accelerating may get you there faster, but it’s also costing you more. A gentler and consistent approach on your accelerator promotes fuel efficiency and helps you save as your tank’s range increases. Understanding the traffic ahead of you will also help you better manage your driving style – less accelerating and braking, more pacing on the speed and flowing with fewer stops. If you have the option of cruise control, you may want to use it a little more – especially on the highway. Shed all the unnecessary weight from your car – if you don’t need to carry it around for the trip or an emergency situation, take it out! Every bit of weight counts and impacts on your fuel consumption. Removing unnecessary weight from your car and only taking what is necessary for the trip will lighten the load and ease the amount of fuel needed to get your car moving. Get your tyre pressure right. 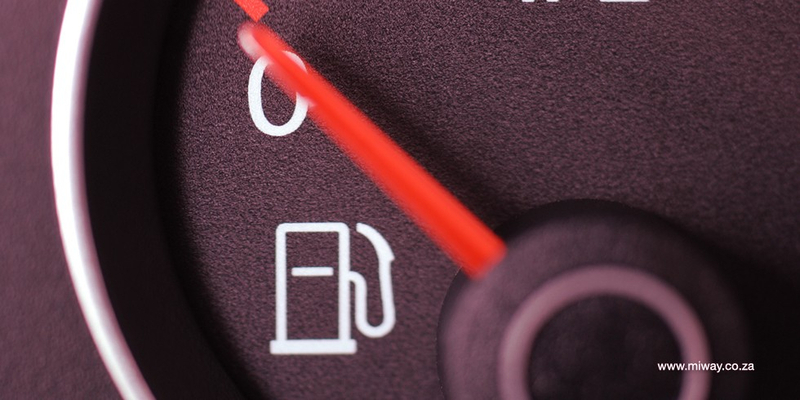 The influence of your car’s tyre pressure on your fuel consumption is one that is not given enough attention. Having your car’s tyre’s pumped to the right tyre pressure regularly aids in better driving. For example, low tyre pressure adds more resistance to your driving and thus consumes more fuel. Remember to check your tyres with every fill up. Get your alignment in check. Your car’s wheel alignment impacts your fuel consumption – believe it or not! Regularly checking your wheel alignment and balance will improve the comfort of your drive and your fuel consumption. Get your car serviced. Skimping on your car’s service in the name of “saving” will have a negative impact on you in the long run – and your pocket will definitely feel the pinch! Proper service for your car goes a long way as the quality of the parts affect performance, reliability and usability of the car. Having a car that has parts working against each other only makes other parts have to work harder to keep going – which can also tap into your fuel consumption. With the lifestyles many of us lead, we constantly have to find alternative ways to save money – fuel efficient driving is one such way. Even with the decrease in petrol price tomorrow, you can never say no to added savings.